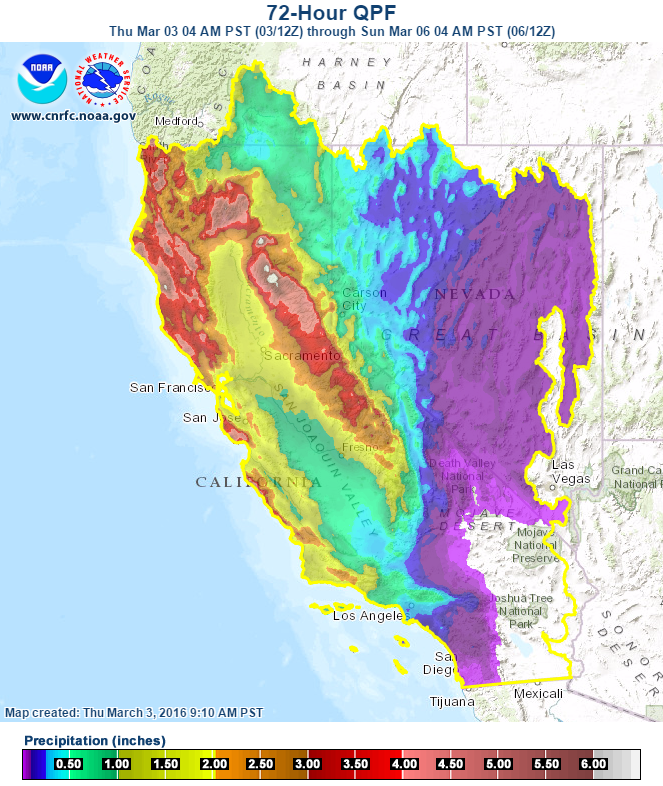 CW3E gives an outlook on current and upcoming Atmospheric River (AR) events along the U.S. West Coast. 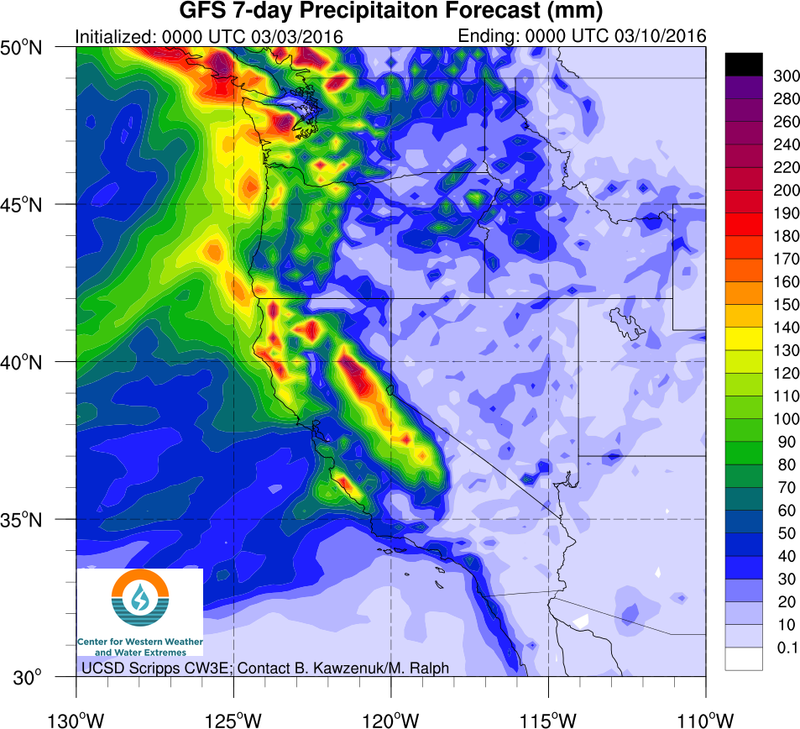 A moderate AR is currently impacting central California producing light precipitation over the northern Sierra Nevada and Central Valley. 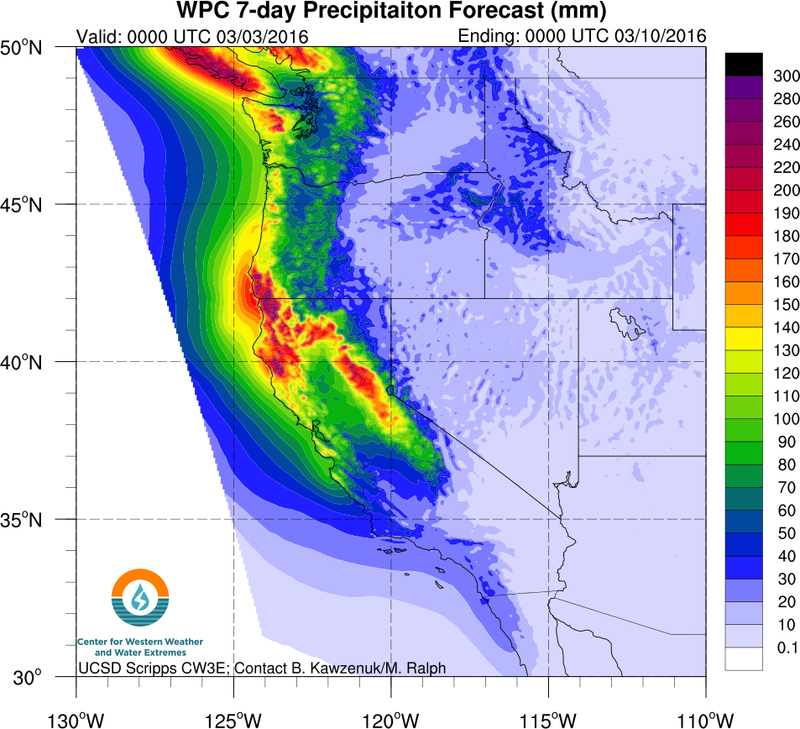 Two ARs are expected to make landfall over the Pacific Northwest in the next seven days, with both propagating south over California prior to dissipation. 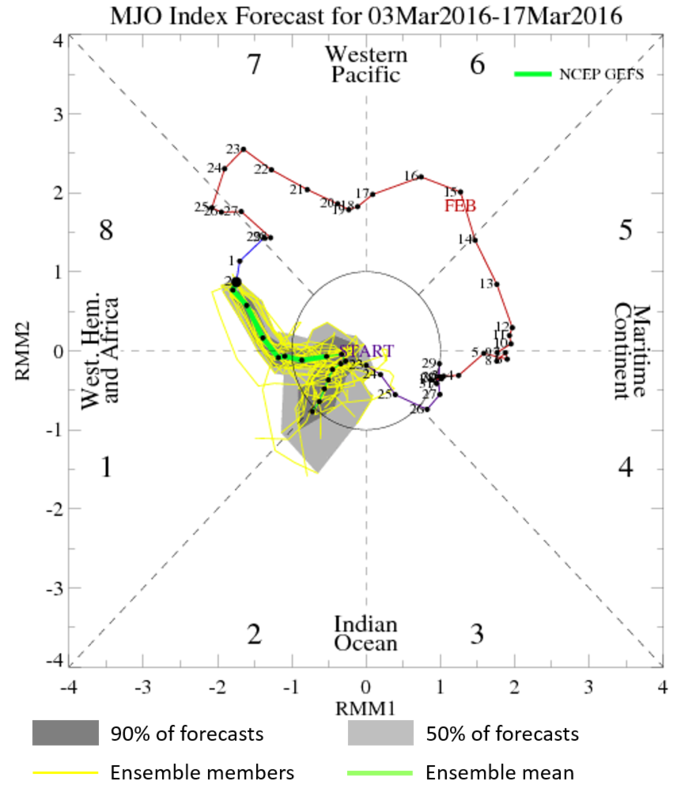 Long range forecasts also show the potential for another strong AR to make landfall in the Pacific Northwest next week. 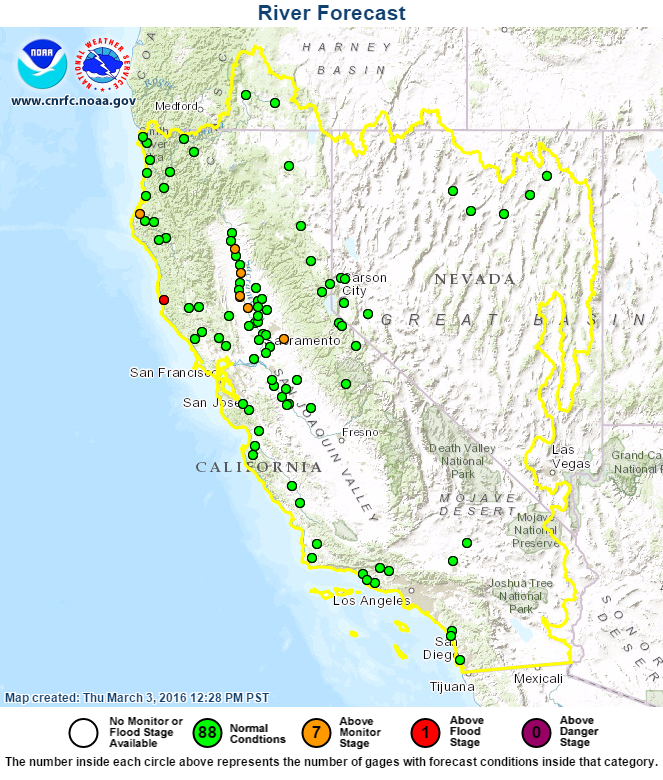 For the latest river and precipitation forecasts and observations visit the California Nevada River Forecast Center (CNRFC) or the U.S. Geological Survey (USGS). For the latest AR forecasts visit the CW3E AR Portal. 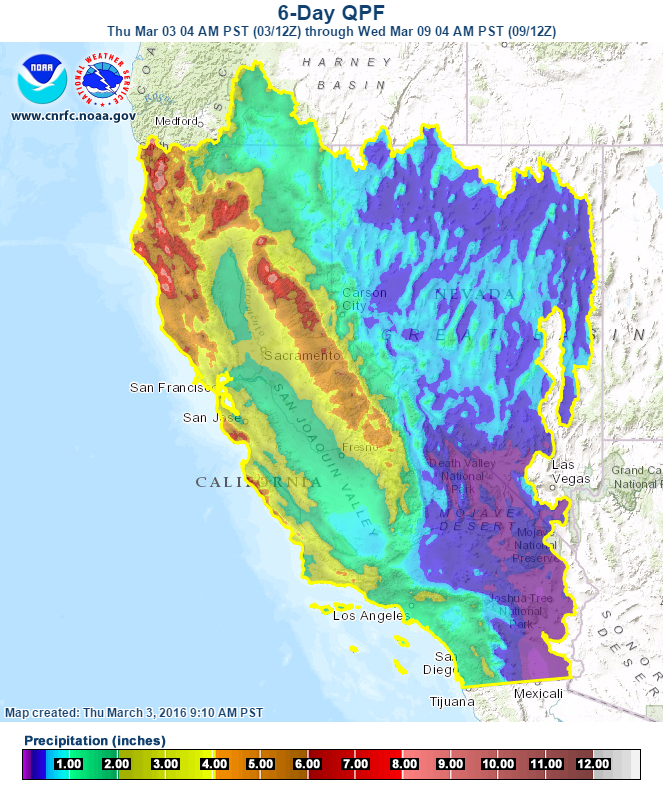 The North Sierra 8-Station and Tulare Basin 6-Station Precipitation Indices are average for this time of year. For more information about AR updates or forecast products visit the CW3E Home Page or contact Brian Kawzenuk, Marty Ralph, or Scott Sellars at CW3E.